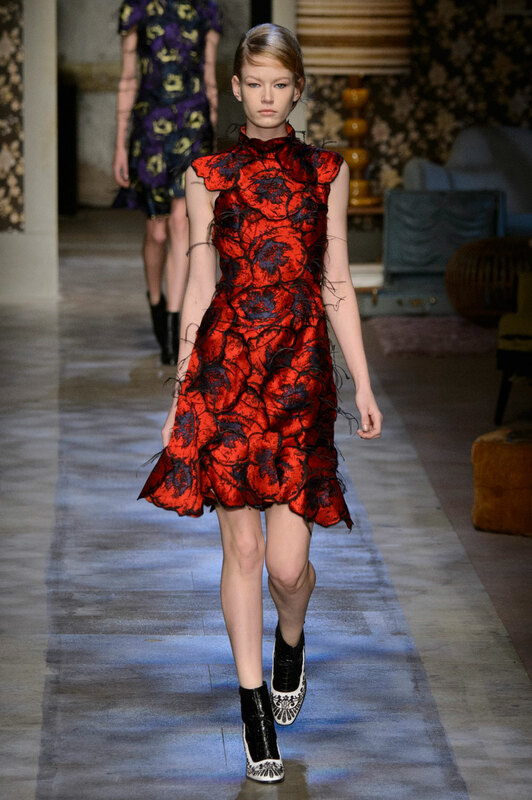 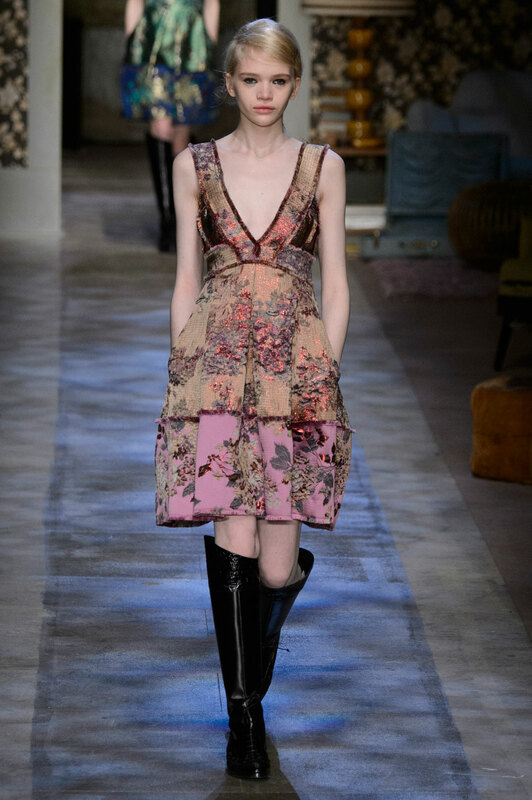 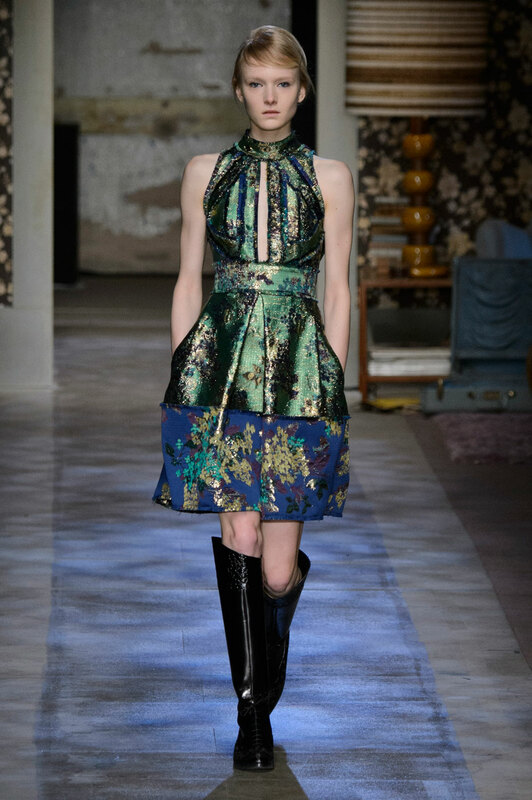 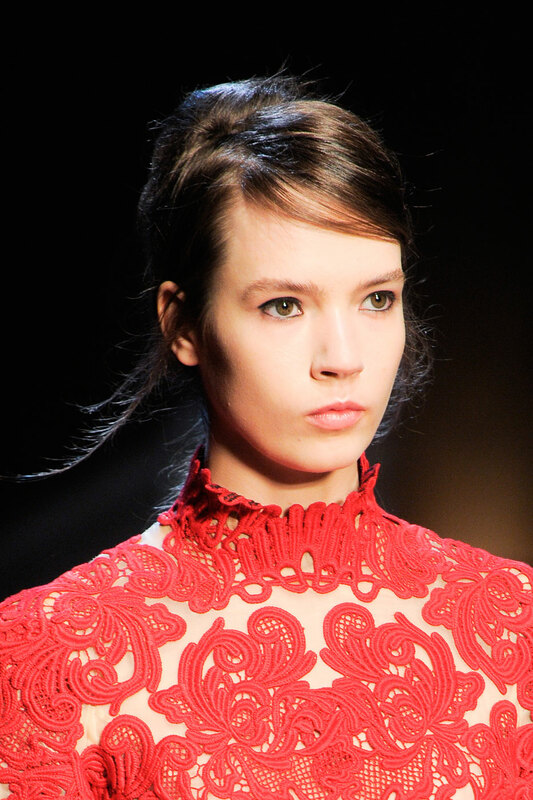 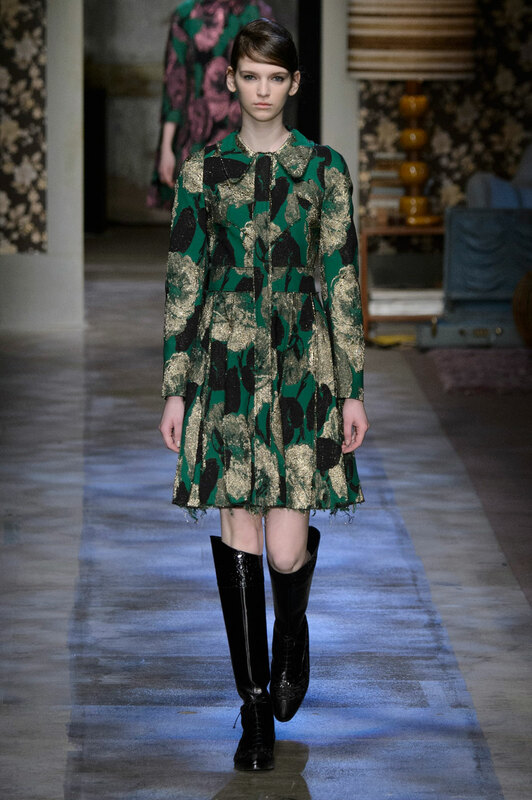 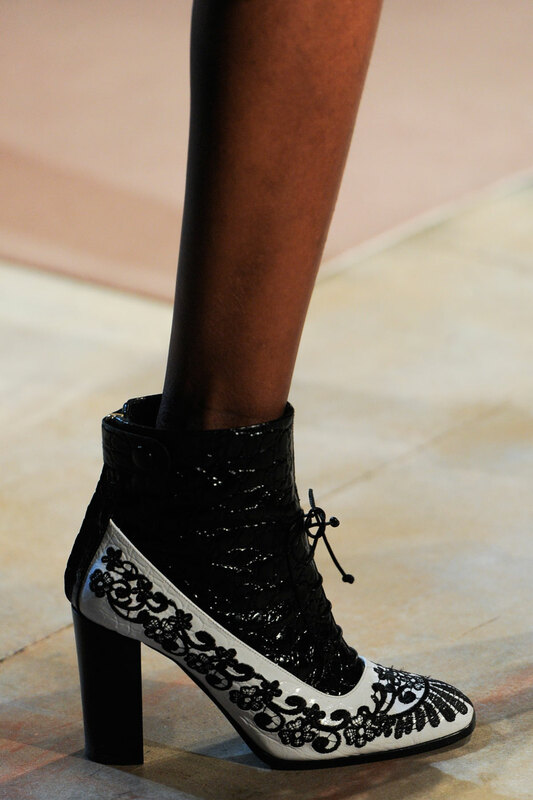 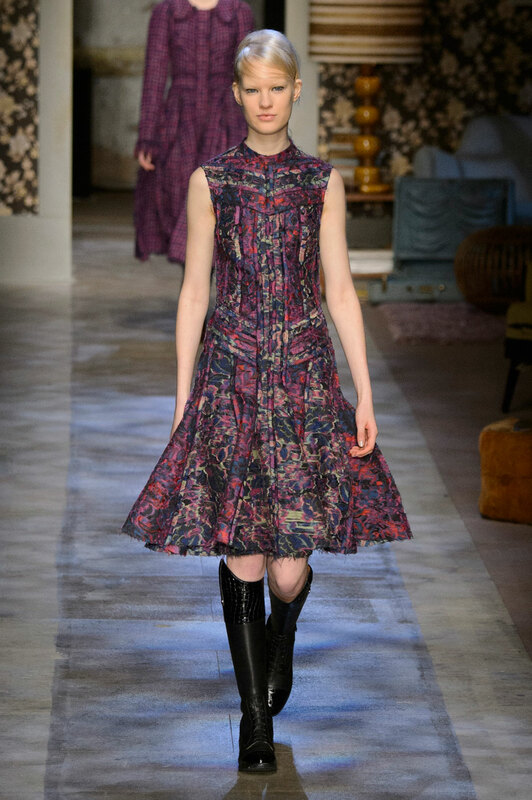 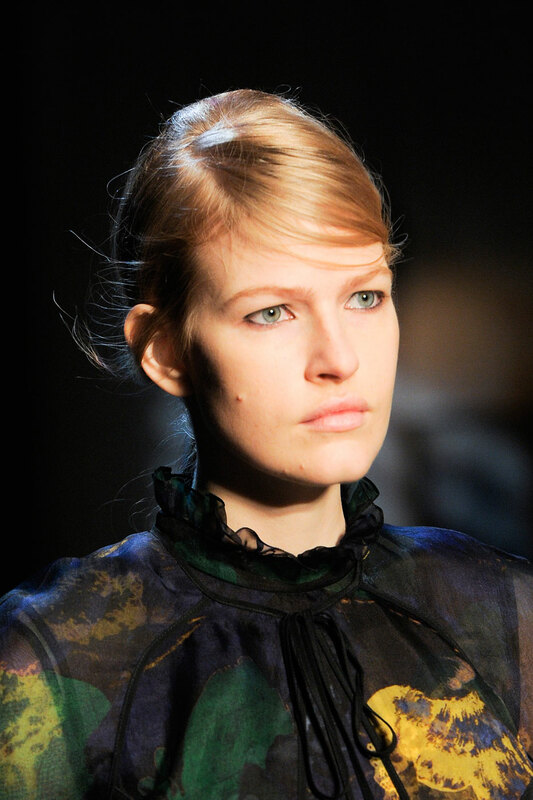 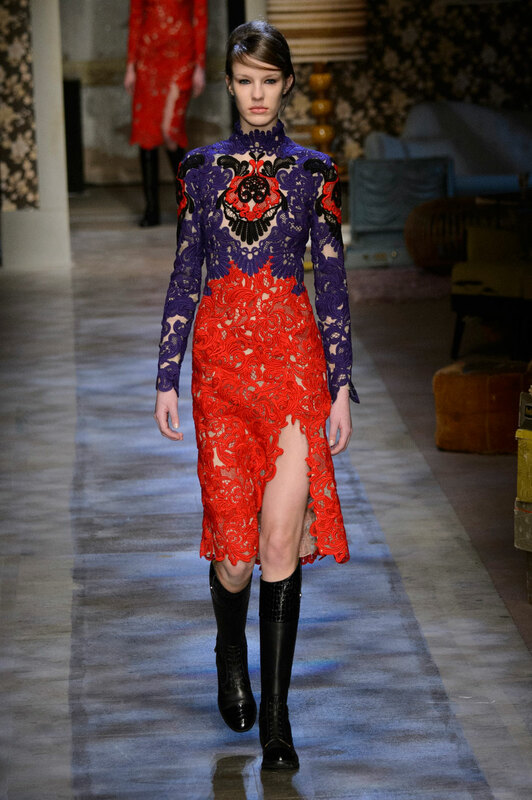 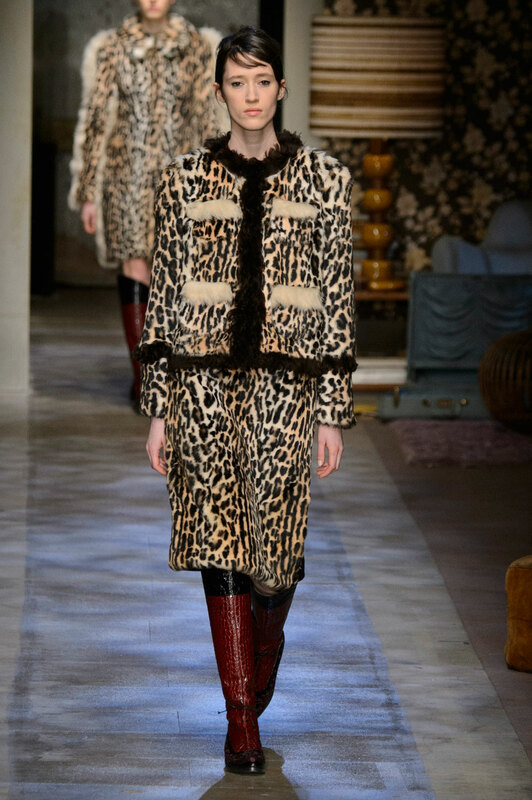 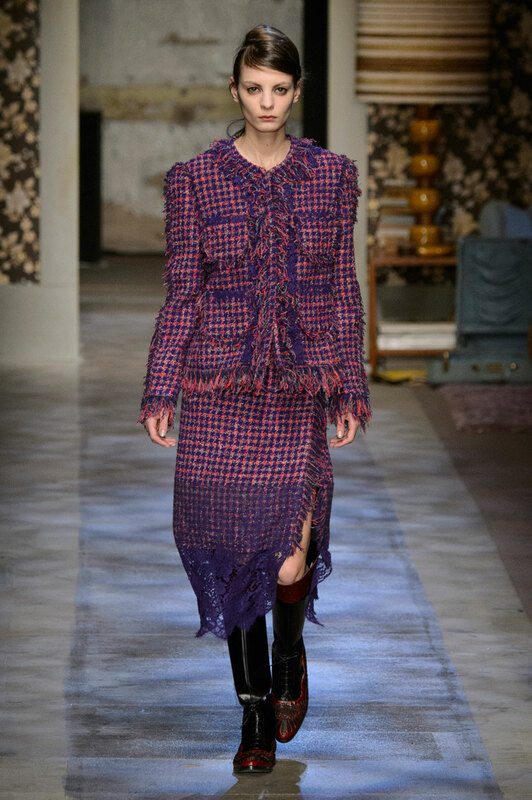 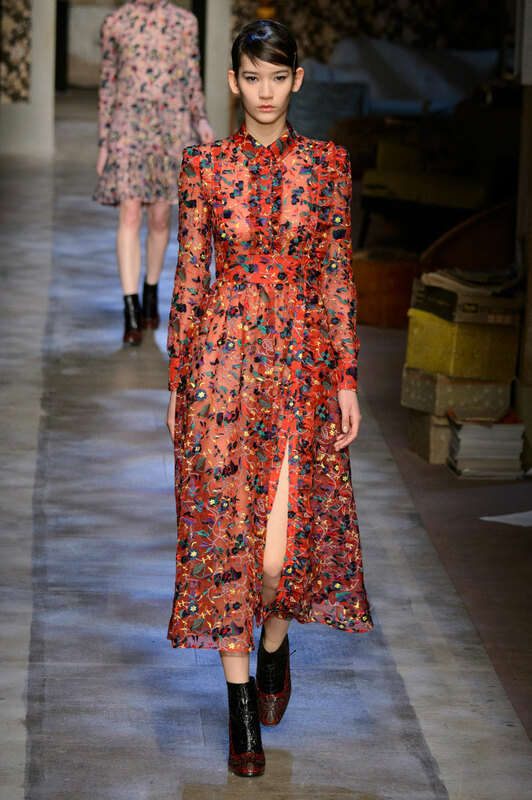 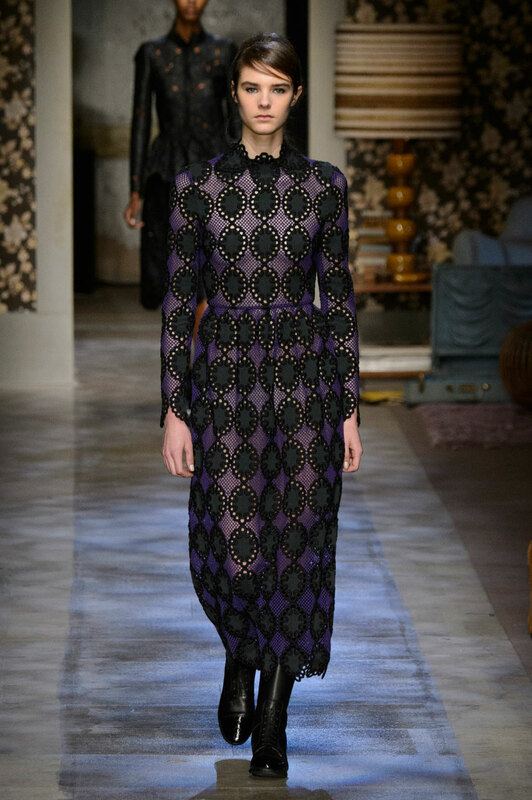 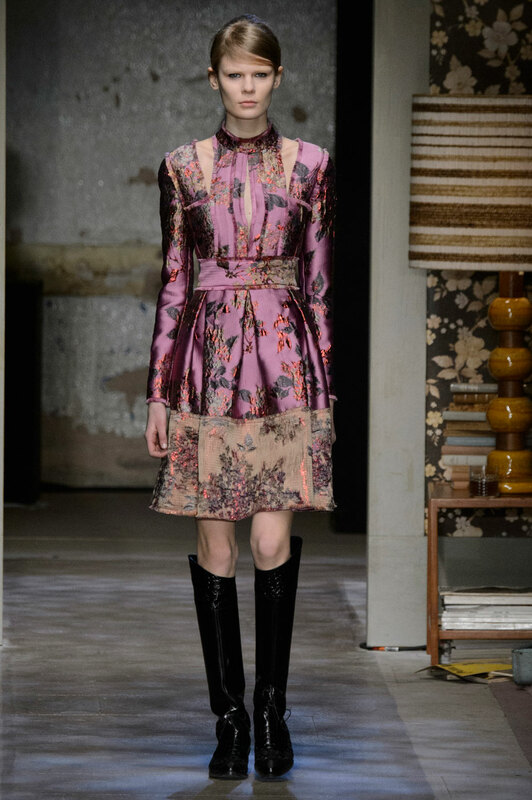 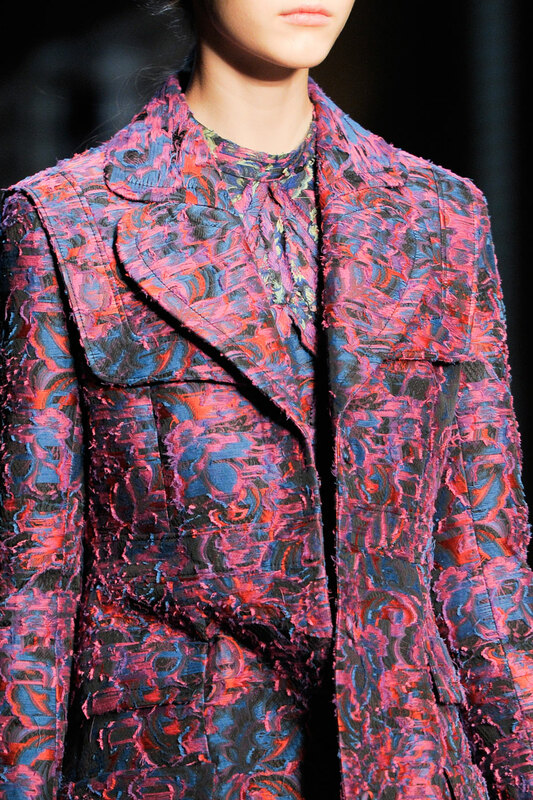 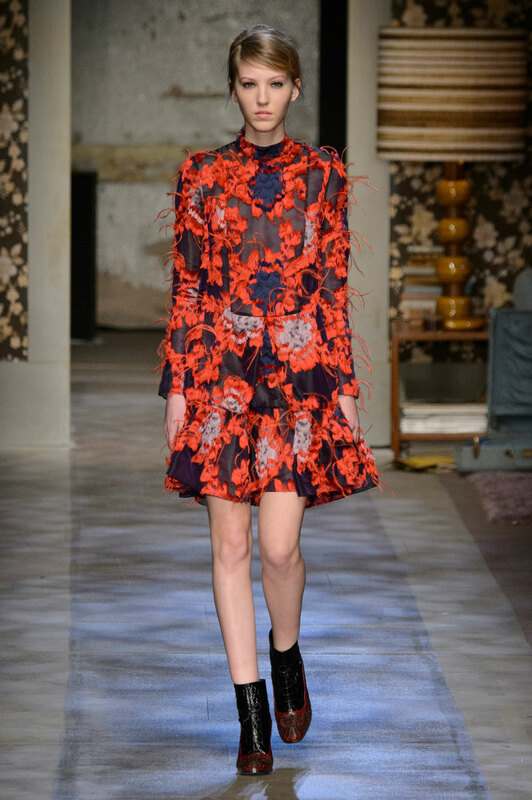 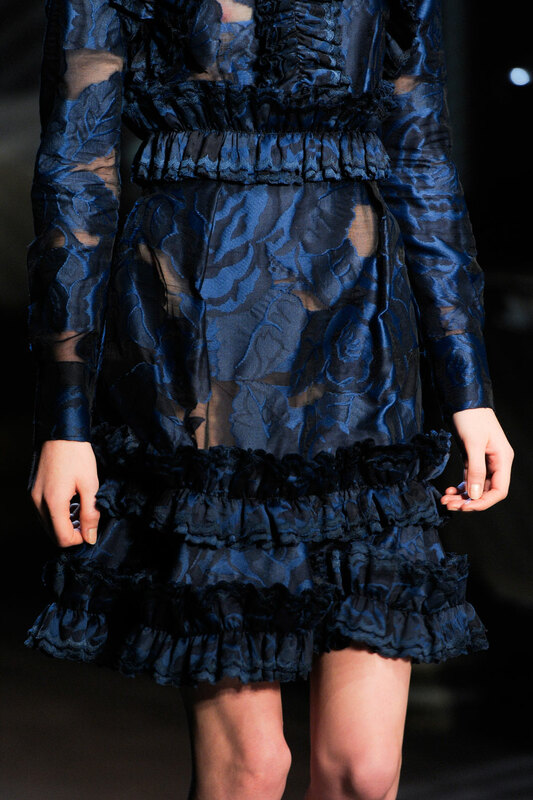 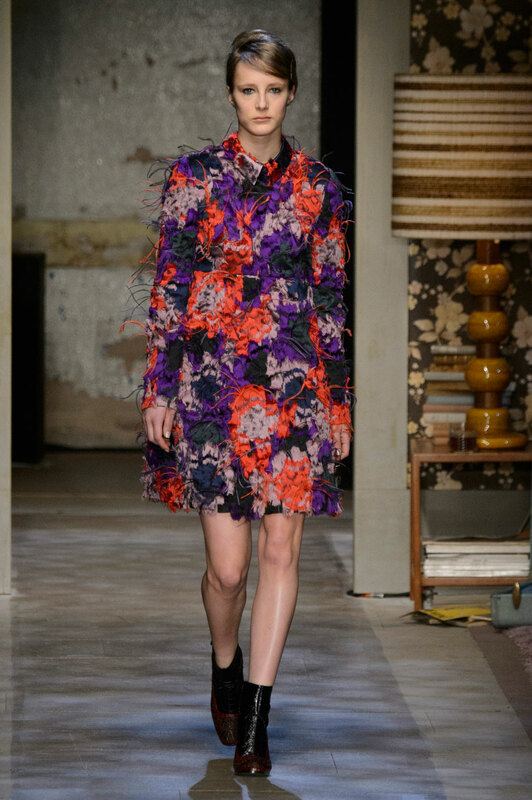 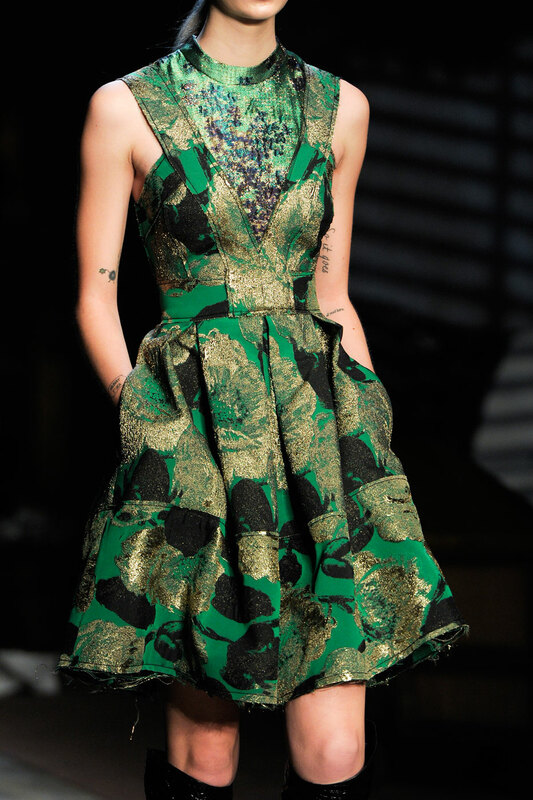 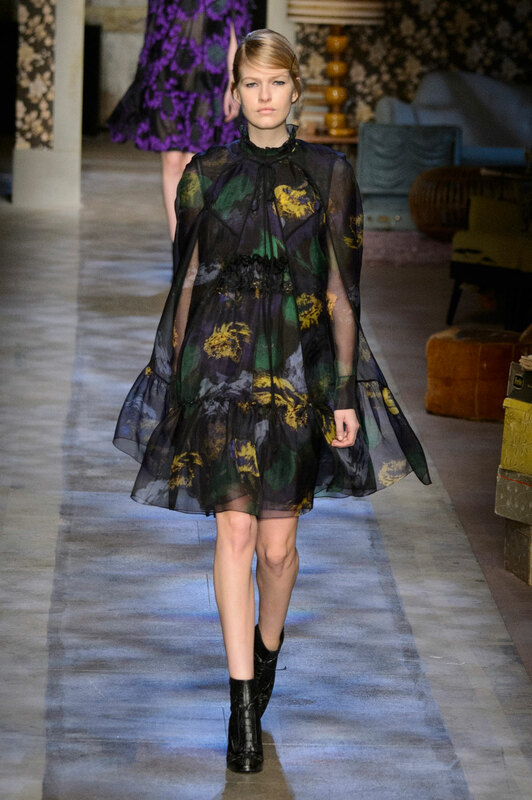 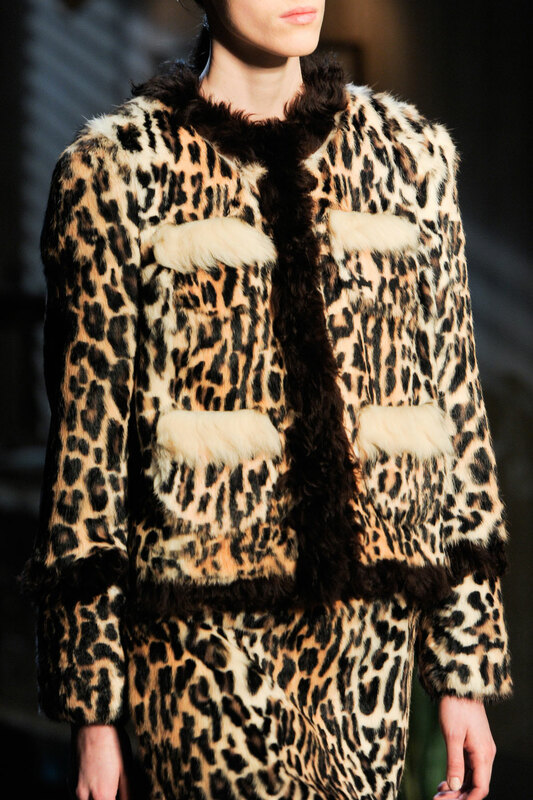 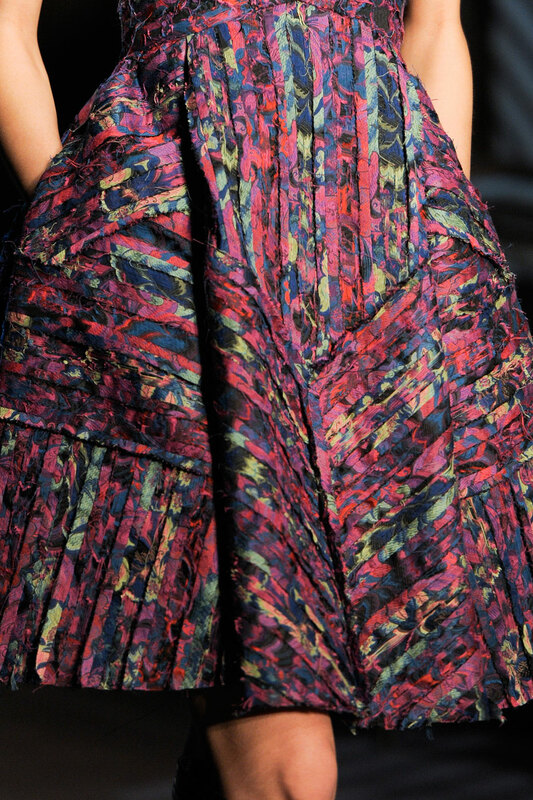 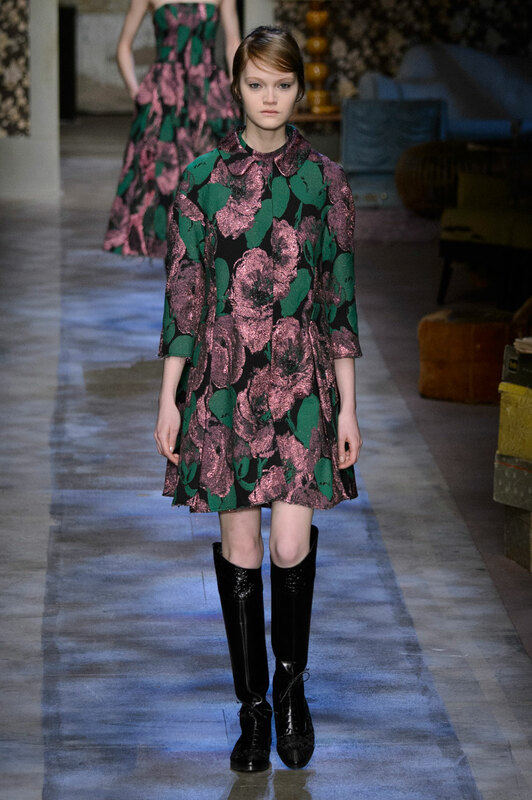 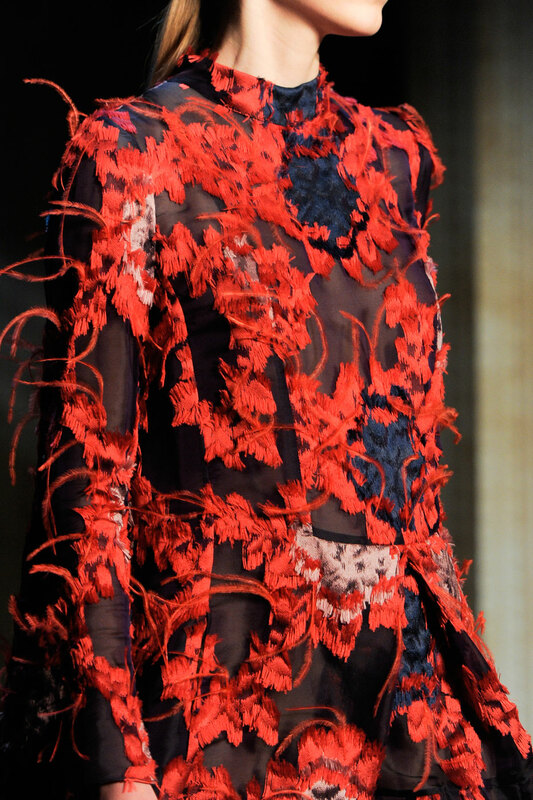 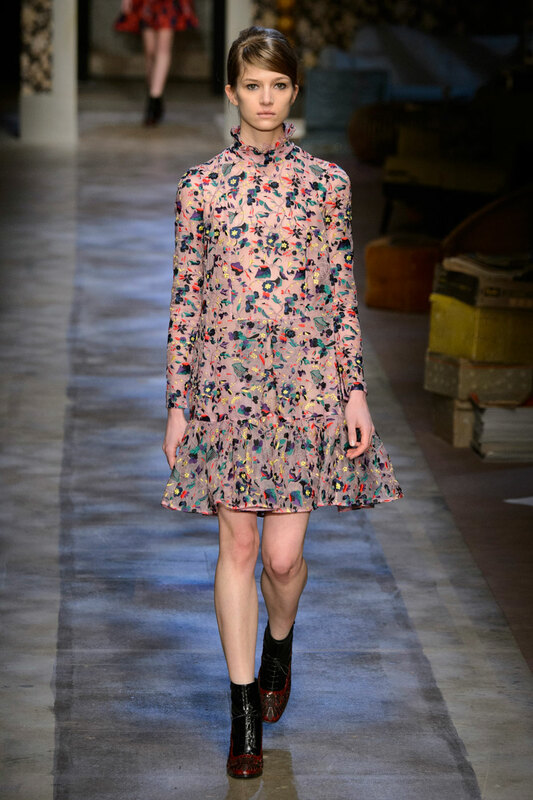 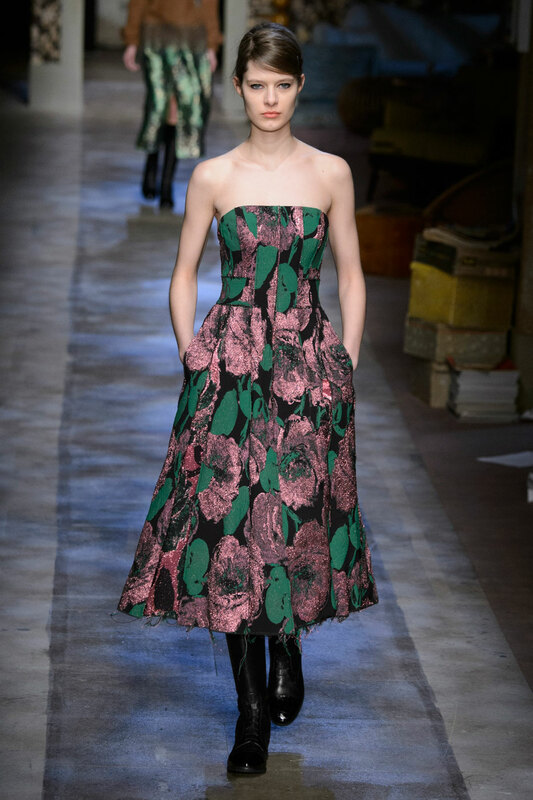 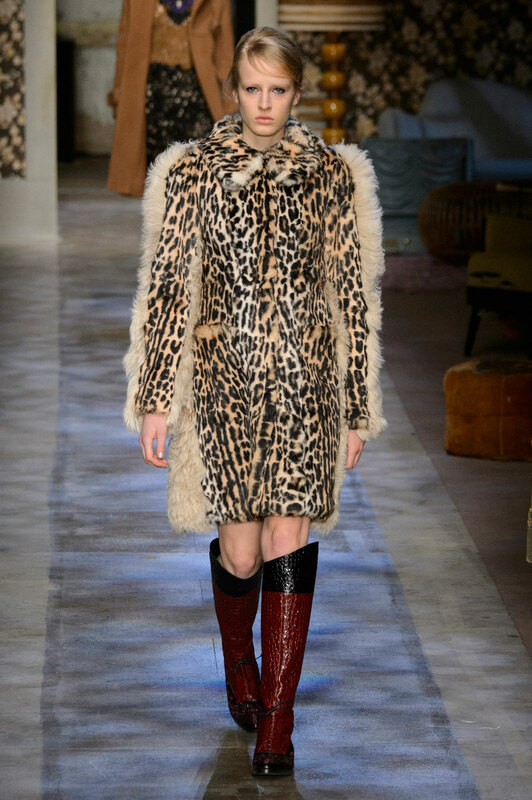 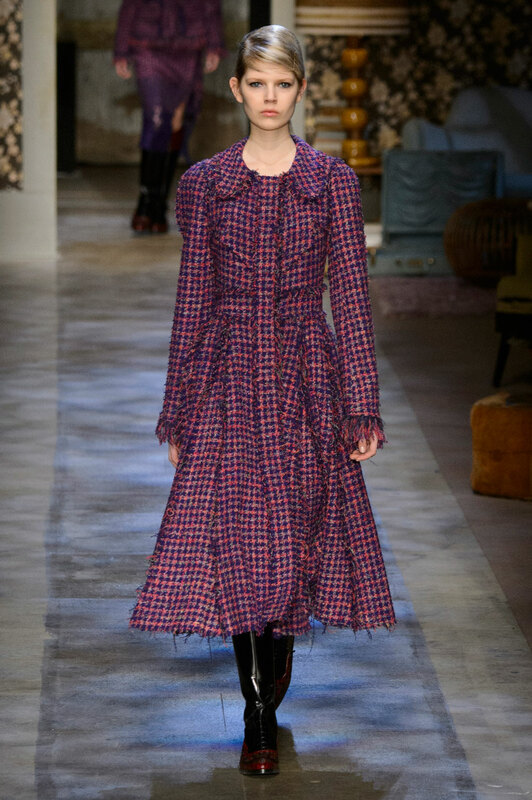 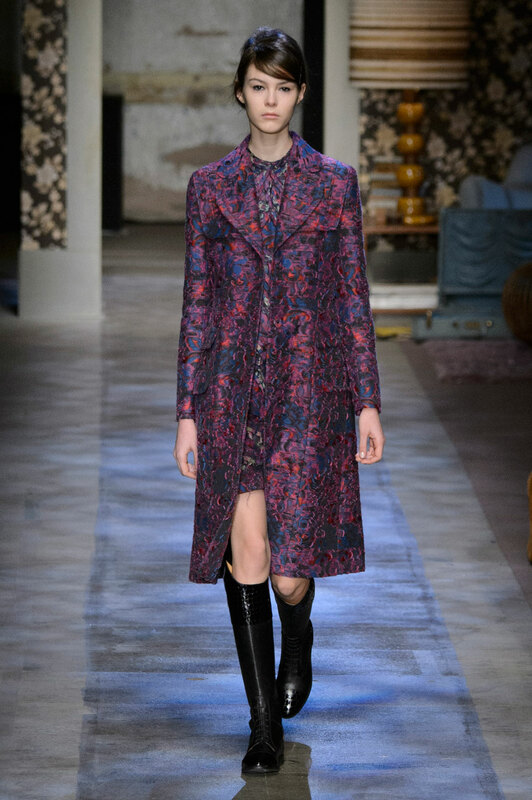 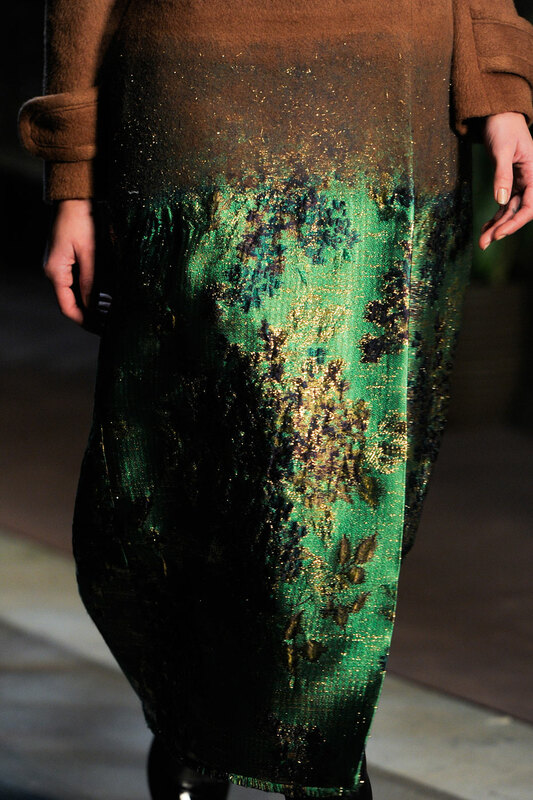 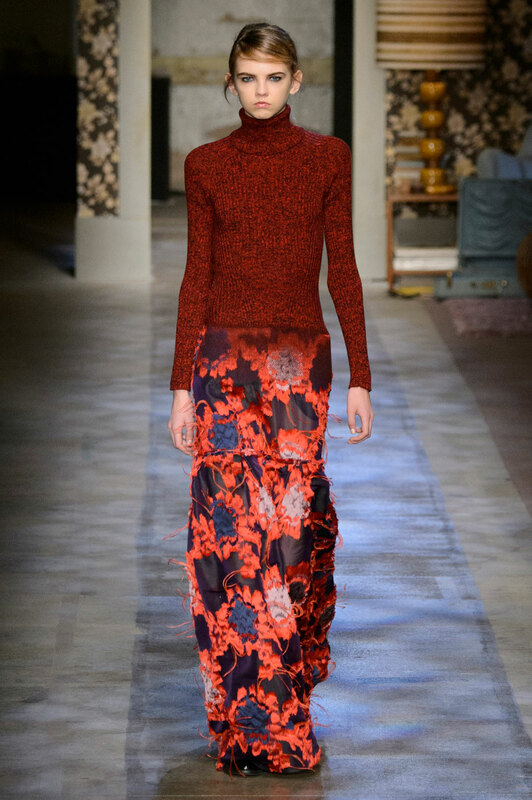 Erdem Women Autumn-Winter 2015 - The Oscars may have taken place last night but Erdem proved to be Fashion Week’s unparalleled auteur with another stunningly surreal show dominated this time by classic theatricality and Film Noir. 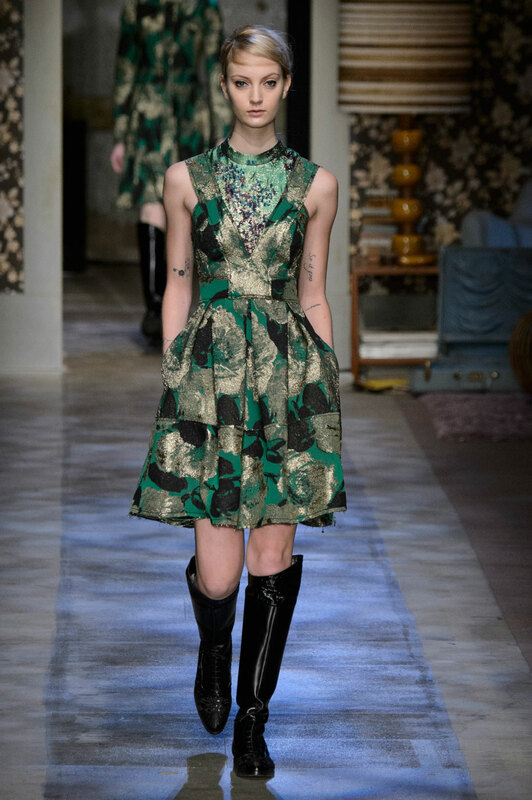 Fresh from last season’s disturbed paradise theme, this collection saw Hitchcockian Heroines parade along a runway of 1950s living rooms in a move that marked Erdem’s return to the home. 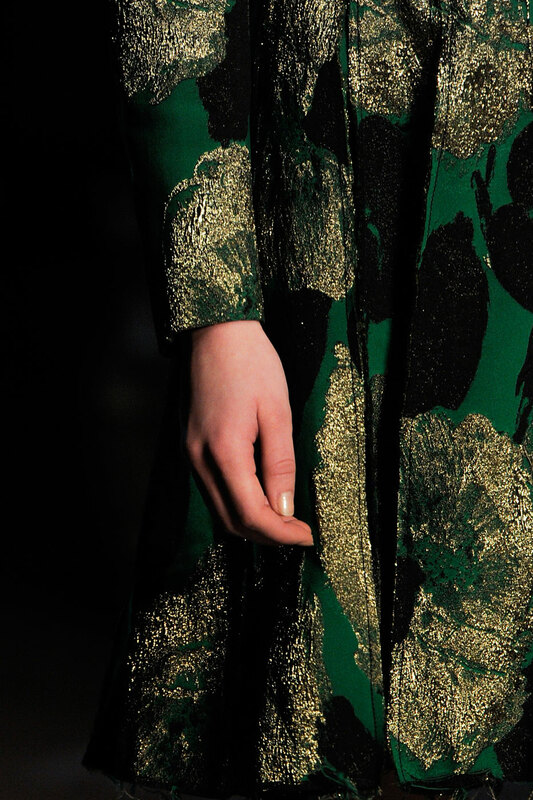 Created by Robin Brown before being customised with a number of Erdem’s own personal belongings, the designer’s inspiration mood board signals looks centred around Old Hollywood film sirens Romy Schneider and Kim Novak whilst further influence has been sought from Hitchcock favourite ‘Vertigo’. 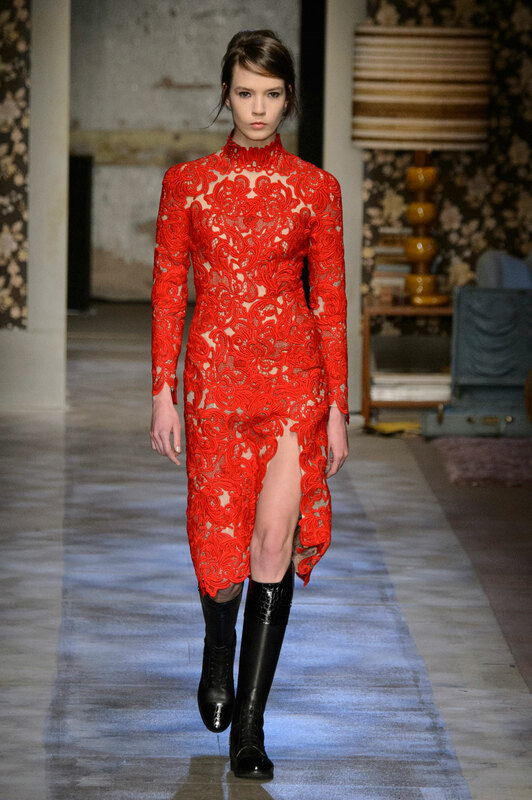 Romantic and dark with overriding melancholia, pieces demonstrated dedication to quality with the richness of colours and opulence of patterned lace merging to create a collection of wearable art. 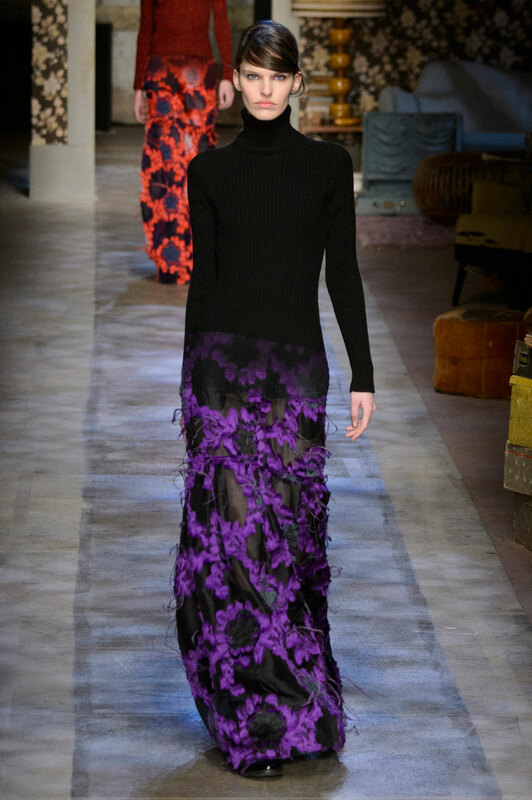 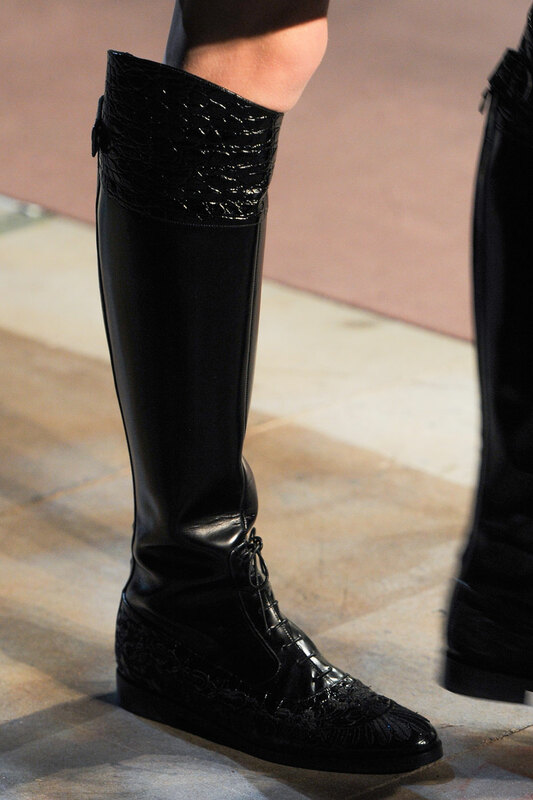 Showcasing strokes of genius, polo-necks were effortlessly infused with feathered maxi length skirts fraying at the edges, whilst the black material of precisely pleated coats dramatically descended into ombre brocade giving an illusion of soft flowing gowns. 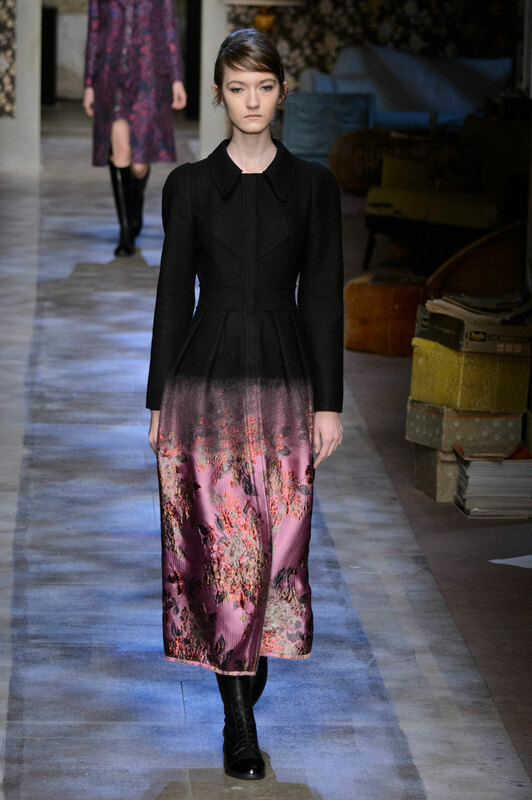 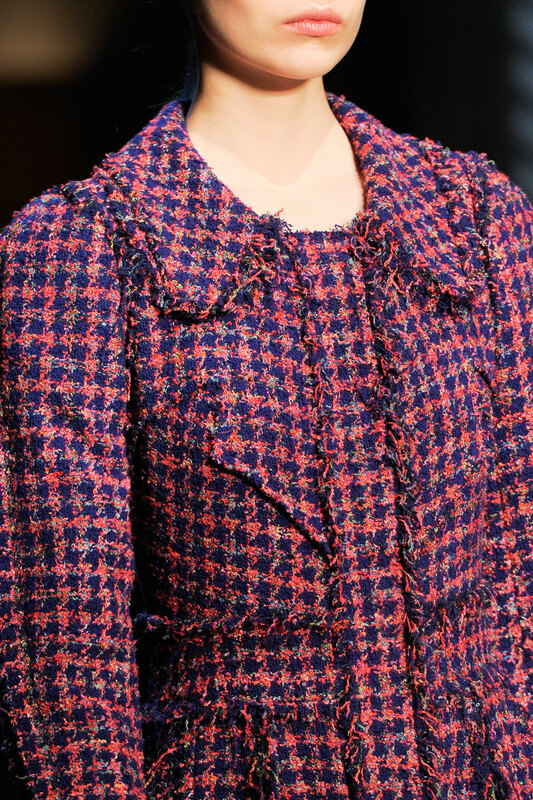 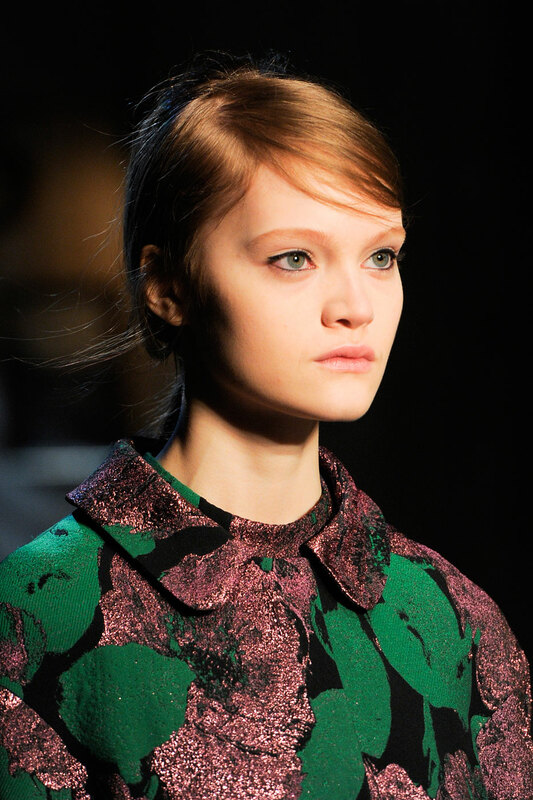 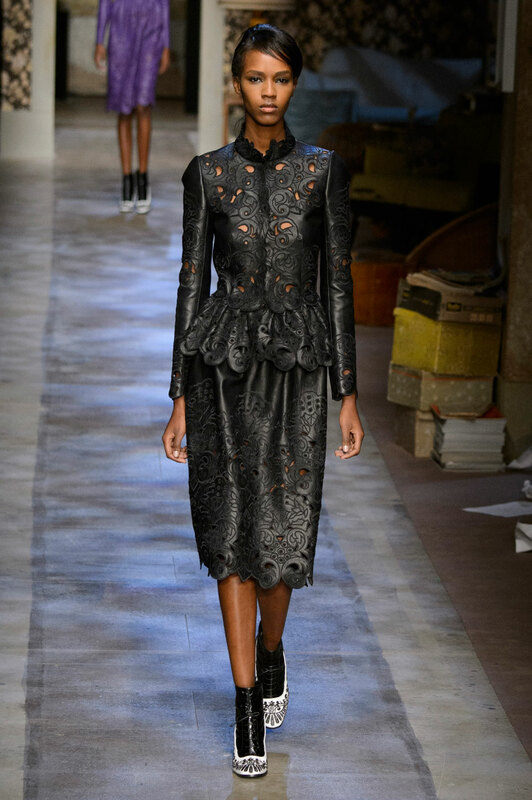 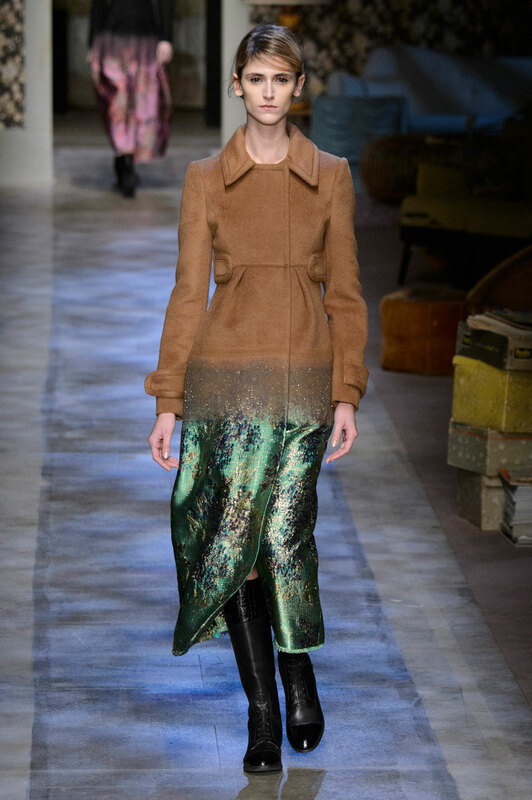 Finishing his looks with camel coats, high neck collars and scalloped hems, the women of Erdem yet again are unbelievably exquisite.